Decoro Drive under construction by The Newhall Land and Farming Co. in Seco Canyon, ~1990. The view is to the east (east at top). Seco Canyon Road would be just out of frame to the left. 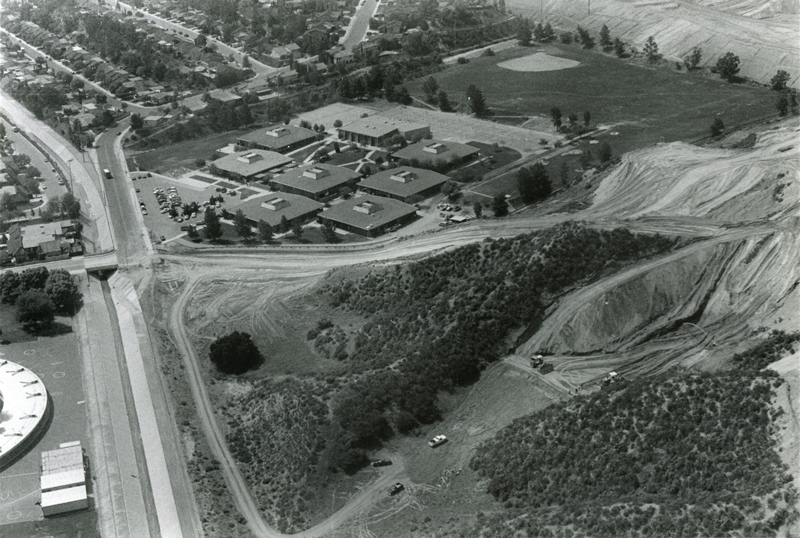 The main buildings in the photograph are Arroyo Seco Junior High School in the William S. Hart Union High School District. 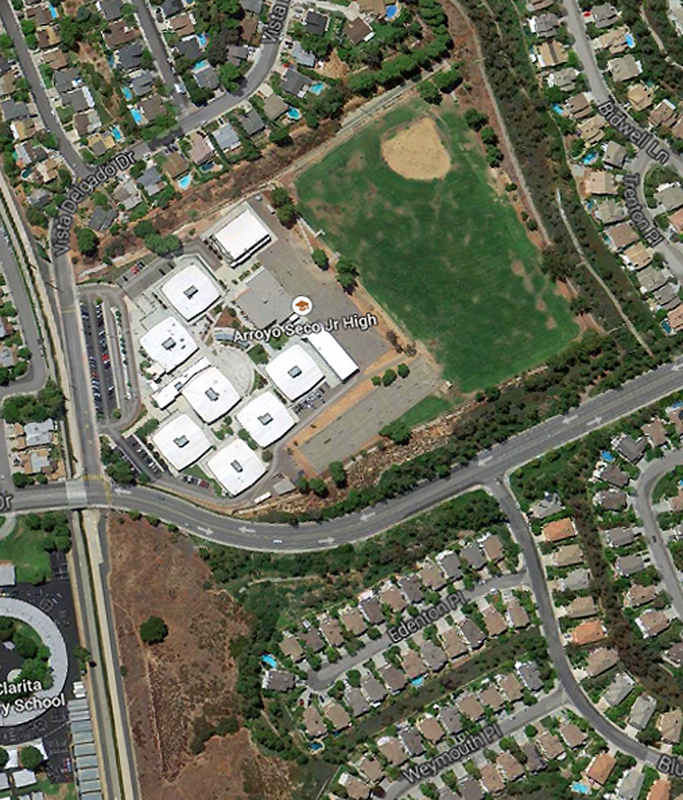 The circular structure at lower left is the back side of Santa Clarita Elementary School in the Saugus Union School District. After the rapid growth of the SCV in the 1980s, residential and commercial construction ground to a virtual halt during the recession of 1990-1992. It picked up again when the economy rebounded, albeit more cautiously. The homes that aren't yet built in this photograph were built in 1992-93. 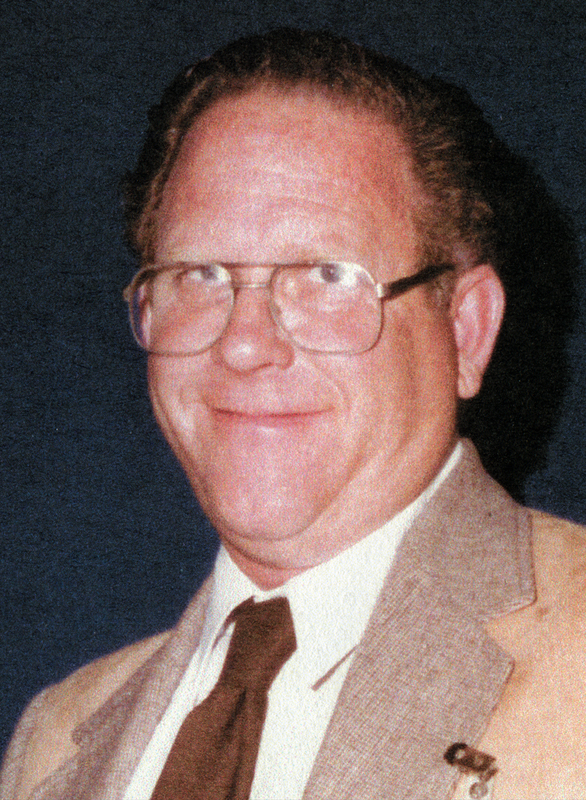 Newhall Land also completed and opened the Valencia Town Center mall in 1992. GT9001: 19200 dpi jpeg from original 8x10 photograph.